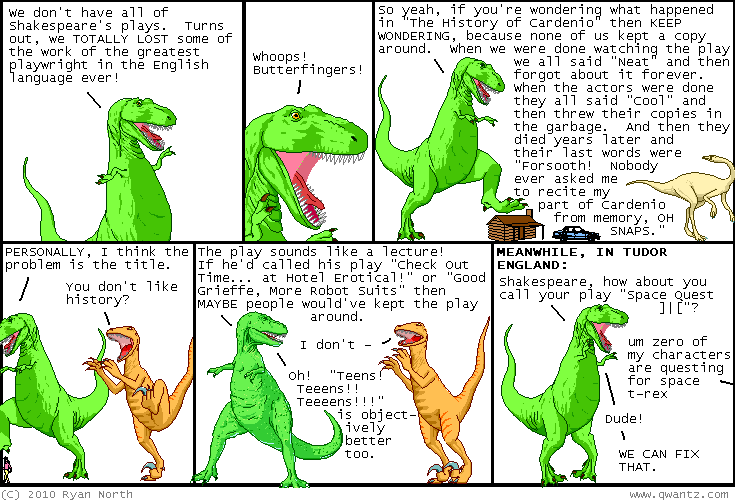 Dinosaur Comics - October 8th, 2010 - awesome fun times! –Okay! The first way is to draw attention to your hips! It is called PIXELTIME T-REX and from far away you can see T-Rex stomping on a house and car and then up close you see just a very attractive arrangement of colour and squares! It's the perfect shirt for anyone super classy. I'm sure that includes... you? ?